On May 5th both China and Romania are having a steak dinner fundraiser at the Fez. If you just want to come and have a drink feel free to as well. The fundraiser will help us pay for kits and practices. 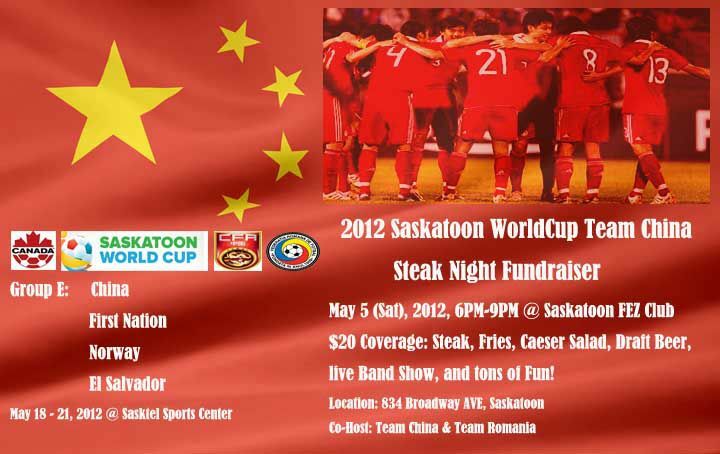 Tickets can be purchased through the team China World Cup Facebook group. Please excuse the typos. Support your country and friends.